1) Access to all properties for sale and for lease. 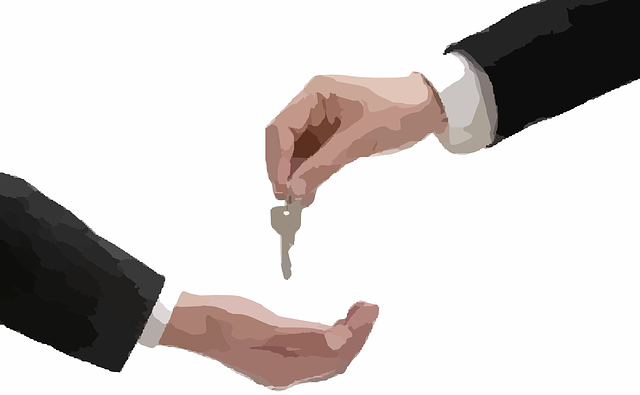 Most brokers are either business brokers selling existing businesses or commercial brokers leasing property. Find a restaurant broker that focuses on restaurant properties and has access to both restaurants for sale and commercial properties for lease. You will be living with the terms of your lease for 5-10 years on average. Your lease will determine if you can extend your lease, sell your business and how long you will remain liable if things don’t go as planned. Many first time restaurateurs run into problems because they were not aware of the many permitting requirements to open a restaurant. Make sure your restaurant broker is knowledgeable about grease interceptors, health department permits and parking codes. A knowledgeable restaurant broker knows architects, attorneys, expediters and contractors who specialize in restaurants. Should You Work With One or Many Brokers? This answer is counter intuitive. You would think working with many agents would provide access to more properties. The opposite is actually true. An experienced restaurant broker won’t spend the time needed to work with you on a non-exclusive basis due to the high risk of not receiving compensation if you purchase a business or lease a space through a competing agent. Would your accountant agree to prepare your tax return if four other accountants were also working on your tax return, but only the first one to finish would get paid? An experienced and qualified restaurant broker only works on an exclusive basis. An exclusive agreement states the broker will work on your behalf and you agree to only work with the agent for a specific period of time. This insures you receive the attention needed and the broker has assurance he will be compensated for his time if you complete a transaction. 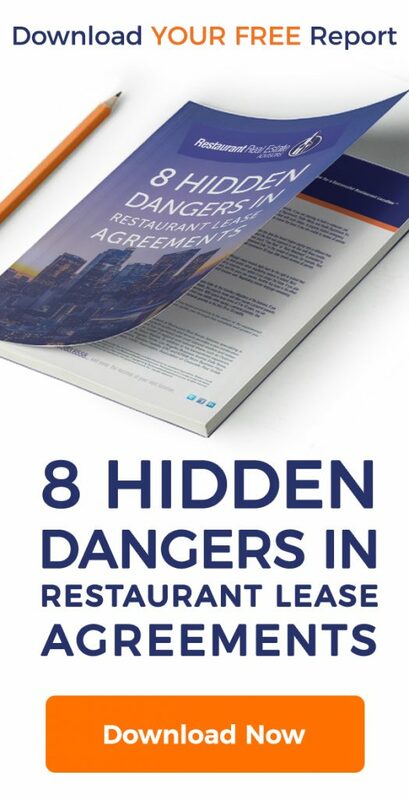 Since most restaurant brokers work on a contingency basis, they do not receive any compensation if you do not lease a property or purchase an existing restaurant. They are also compensated based on the total lease amount or sale price. This can create an issue. If your requirement is too small you won’t find a qualified person to help. From the broker’s perspective, it takes the same amount of time to lease a property in Beverly Hills as it does in a low-income area, where rents may be much lower. If you’re looking for a short-term lease or to purchase a very low priced restaurant the commission may not justify the time involved. A minimum fee insures you get qualified help and the amount of the sale price or lease amount does not impact your access to available properties. Let’s say you are prepared to pay $100,000 to purchase an existing restaurant with a monthly rent of $5,000 or build a new restaurant with rent equal to $5,000 per month with a 5-year lease. The commission to your broker would range between $5,000 and $12,000. If your broker was able to find you an existing business for sale for $10,000 with a below market lease of $2,000 per month, you would receive a great deal and save $90,000. Unfortunately the broker is actually penalized for finding you a great deal. The commission for a $10,000 business sale is only $500 for the same amount of work as a sale for $100,000. You don’t want to risk missing these opportunities (below market rent and attractive sales price). A minimum fee guarantees the restaurant broker is compensated fairly and you receive the best deal possible. Assuming the minimum fee was $5,000, in the example above you would be purchasing a below market lease for $15,000. Far less than the $100,000 you were prepared to pay. The best solution to insuring you receive access to all available properties and to insure your restaurant broker negotiates a lease that’s in your best interest is to agree on a minimum or flat fee. Typically, the agreement states a minimum fee. If the total commission does not cover the fee, you will pay the difference. If you are unhappy with your broker you should not be locked into a long-term agreement. Make sure you have the right to cancel the agreement. You will need to agree the broker is entitled to compensation for properties they show you for a certain period of time after cancelling the agreement, but you will be free to negotiate or work with anyone else going forward. This is usually not an issue since you would have already negotiated for the properties shown by the broker if you had been interested in the first place. If you follow the suggestions above working with a restaurant real estate broker should save you both time and money leasing or buying your next restaurant. I am selling a Restaurant business on Rainey st. in Austin. I want to blast it nationwide. Is it better to go with a commercial broker in Austin or someone from NYC or L.A.?